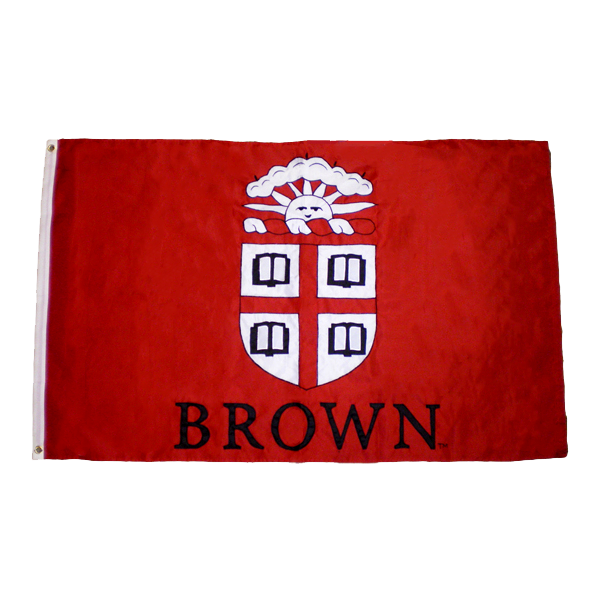 Brown felt banner with white felt trim and two grommets for hanging. Red and white felt Seal and 'BROWN' in white felt lettering. Alpert Medical School Decal with Seal, inside application. Color Shock brown paw print with white and black outlines. Size: 3 3/4"H x 4"W (includes backing), Paw apx. 3 3/8"H x 3 1/2"W, outside application. Opaque 7" x 3" outside mount sticker with peel-off application sheet. If only ordering decals, you have the option of mailing for $2.00.--Put 'Mail for $2.00' in Order Comments. Clear decal with Seal in red and white with black outline and 'Brown' imprinted in black, choose inside or outside application. 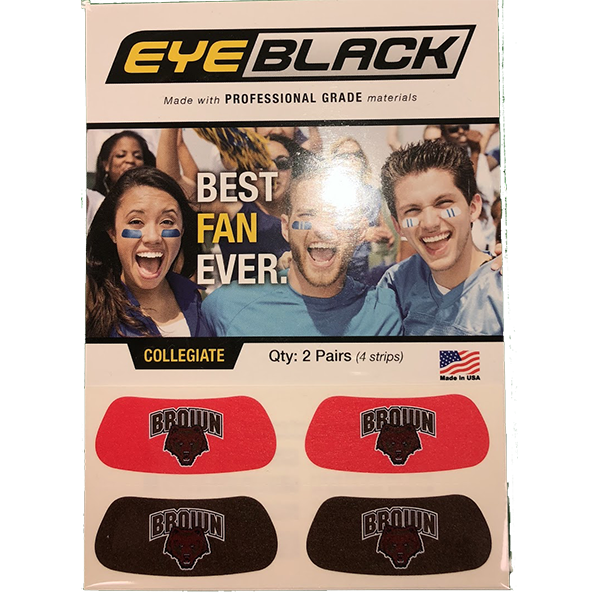 Please select option for Decal - Brown Seal - INSIDE or OUTSIDE - $2.49. Clear, 10" x 3," for inside application. 6.5" x 2.25" outside mount for tinted windows with peel-off application sheet. School Seal Color Seal Decal, size: 5 3/4"Hx3 3/8"W, outside application. If only ordering decals, you have the option of mailing for $3.00.--Put 'Mail for $3.00' in Order Comments. 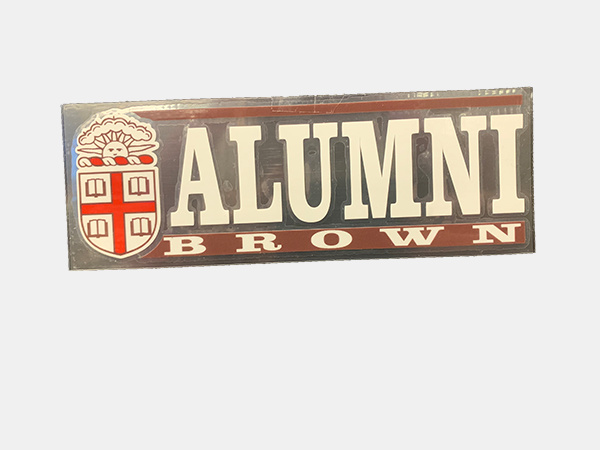 Clear decal with 'BROWN UNIVERSITY' imprinted in black outlined letters, choose inside or outside application. 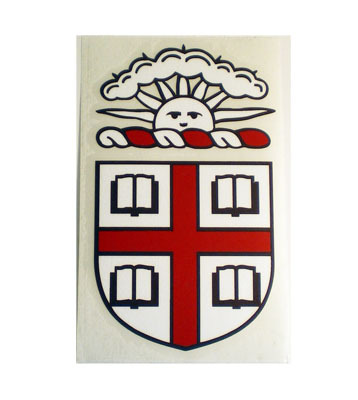 Please select option for Decal - Long Brown University - INSIDE or OUTSIDE. 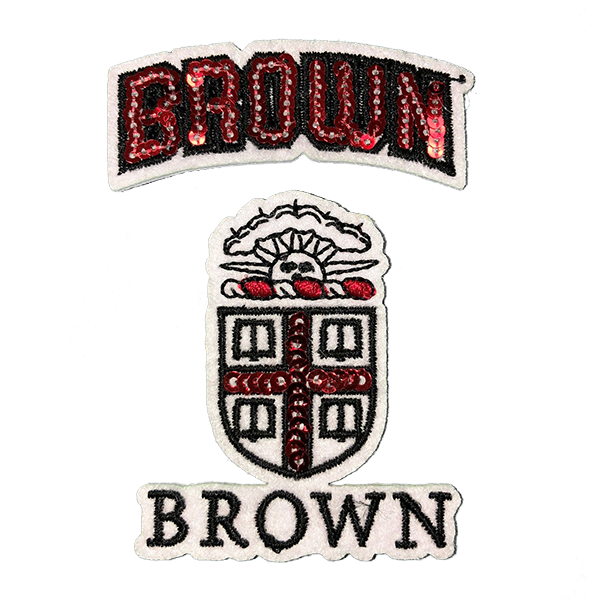 Red, white, and brown Seal and 'BROWN UNIVERSITY' in brown letters with white and red outline on clear background. CS inside application static cling decal; Red and white Seal with brown outline. Seal red nylon flag with white trim and two grommets for flying on left side. Seal in red, white, and black with black embroidered outline and 'BROWN' in black with black embroidered outline. 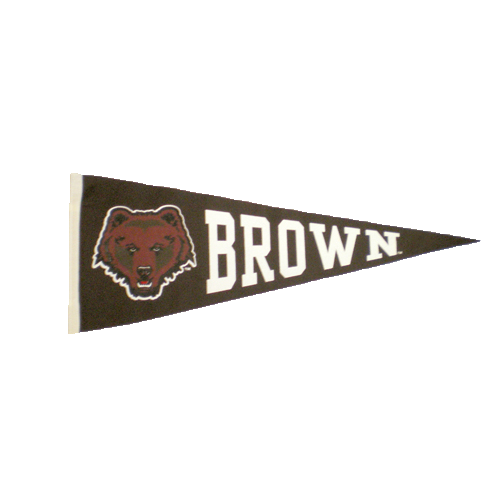 Brown felt pennant with white trim. 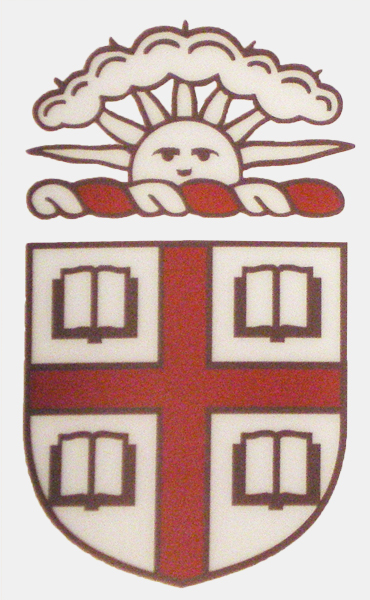 Maroon and brown Bear with white outline and 'BROWN' in white felt letters. Brown felt pennant with red trim and ties and white stripe. 'BROWN' imprinted in white felt lettering. One sheet of 20 stickers in shape of Seal with red and brown Seal on white background.